Happy 19 months old AZUMI! There were many moments throughout 19 months when at the end of the day, I was thinking that being a mom to Azumi is the biggest, funniest, scariest, most challenging, most important, most fulfilling and the best job I've ever had. Seeing her being loved by the people surrounds us makes all the hard work of motherhood into perspective. I must say that I'm proud that I gave my full time of taking care of her. I'm glad to spend my days with her. I feel honored and blessed to help her chub up and watch her grow. Can anyone tell me how to slow down our babies' growing up process? I know almost all mothers out there feels exactly the same as mine. Some don't have a choice but to work at the same time but still, they manage to balance work and home life. Some may even work abroad to provide a better future for their family. Those sacrifices are indeed something admirable. Cheers to us all mothers Let's enjoy and be proud of our awesome motherness. Happy Mother’s Day to the wonderful moms I love and to all of you! ei, magkasunod lang talaga pala si askim at anzy ano? 2 weeks lang ang pagitan.. hihi.. happy 19th anzy.. say happy mother's day to you mom.. stup! stup! 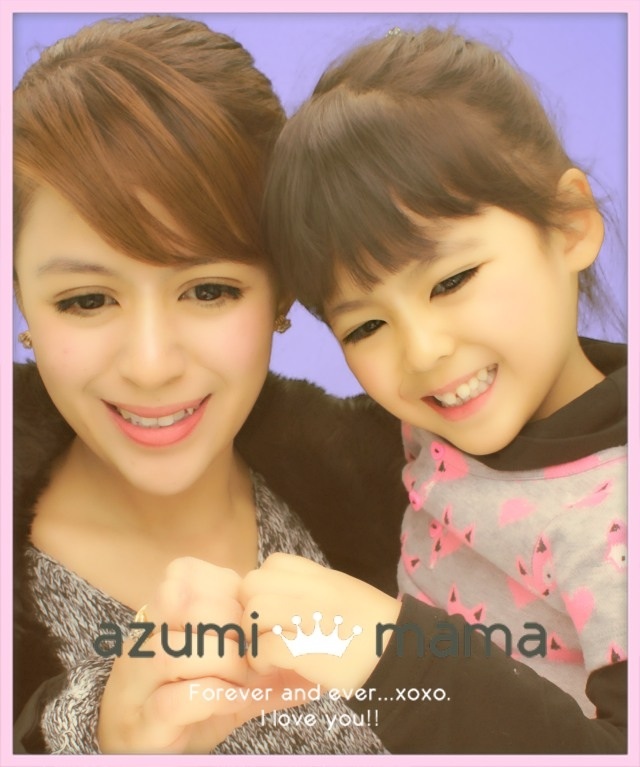 Happy Mother's Day Bambietots and Happy 19 months to Azumi. to be honest, I dont feel the same way minsan kasi iniisip ko na sana lumaki na sila agad para hindi na ako pulot ng pult laruan at saka para makapunta naman ako ng malayo na walang madaming bitbit pero nagugulat nan ako pagnakikita kong malaki na mga anak ko. Moody eh noh hehehe. there are times na gusto ko magkababy ulet lalo na pag nakakakita ako ng baby pero iniisip ko rin pag magbaby ako ulet parang back to basic na naman ako. I'm smiling to see that you really enjoyed your motherhood. Dapat sundan mo na si Azumi hehehe. Take care Bam and kisses to Azumi! HAPPY MOTHER'S DAY to you Bambie dear and your mom. I have a surprise gift for you and the other moms at my Daya-Logs post at my Komentaryo blog. Hope you all like it. Congratulations on the 19th Monthversary of Anzu. She had really gone a long way since she started appearing in this blog. Thanks for the joyous post. God bless you all always. I really feel the same way,Bambie at kahit ano pa ang gawin natin, di natin mapipigilan ang paglaki nila(T_T)Pag napigilan naman natin,okashi naman lol! Belated Happy Mother's Day to you, Bambie!